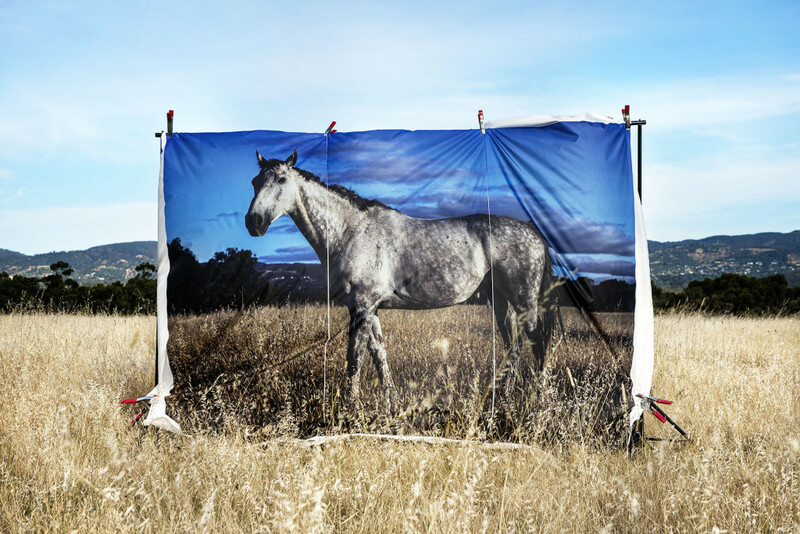 Hearty congratulations to CJ Taylor for winning the top prize in the Adelaide Parklands Art Prize. CJ's work was selected out of an open field of 300 artists working in all genres of art, from painting, to sculpture. Another fantastic win for CJ Taylor, a great Adelaide artist, for photography as a medium and for Atkins' print and framing services. Link to details on the Art prize. The prize is open to all artists, of all ages, from all countries, working in two- and three dimensional art forms, including photography. Entries will be submitted initially in digital form. From these entries 50 to 100 finalists will be selected and displayed in the Adelaide Festival Centre Artspace Gallery from Saturday 15th February to Sunday 6th April, 2014. The winners will be announced at an opening event on Friday 14th February. There will be a ‘Peoples Prize’, awarded by popular vote, announced on the last day of the exhibition. All artworks will be for sale. The prize is an initiative of the Adelaide Park Lands Preservation Association (APPA) and has financial support from the Adelaide Park Lands Authority and the Adelaide City Council. APPA intends the prize to be a key part of its program to stimulate public awareness of and interest in the Adelaide Park Lands. The prize has been enthusiastically endorsed by artists, gallery owners and others in the art scene. The judges are all well-known figures in their respective fields. The works will be judged solely on artistic merit. The Adelaide Law School is again running it's Images of Justice photographic competition, all photographers are invited to submit their images. The guest exhibitor for this 2013 competition and eventual exhibition is Dr Bob Brown, former Member of the Australian Senate and a remarkable photographer. The University of Adelaide Law School in conjunction with Art and Heritage Collections is proud to announce that the Images of Justice photographic competition will run again in 2013. This year we have subtitled the Images of Justice competition – ‘Truth’. We challenge photographers to explore the concept of Truth within the context of Justice. As with last year’s competition we expect that this will be an exciting and thought provoking brief. This event comes with great support from our principal sponsor Lipman Karas. The competition is an opportunity for photographers and the Law School to consider the law, justice and truth in a different light. The theme offers photographers an opportunity to explore truth through imagery. This could include portraiture, documentary photography, digitally manipulated works or photo essays. The Adelaide Law School is keen, to reach out to future students, current students, and members of the community, including professional photographers, artists and members of the legal profession. We envisage this competition will provide a platform for discussion and representation of justice and truth. The featured artist for the 2013 competition will be Dr Bob Brown (former Senator for Tasmania), who’s artwork will be included in the exhibition. First prize in each category will be $1000, with more prizes to follow. Winners will be announced and prizes awarded at our Images of Justice Prize Winning Ceremony which will be held in October 2013 at the University of Adelaide. I encourage you to join us in this photographic journey by entering your image into the competition.